One reason oncologists don’t toss around the word “cure” too often is that cancer can be such a tricky and deadly disease. In many cases of advanced cancer, the disease can often be slowed down but not fully eradicated. Most cancers kill people through metastases, the development of secondary malignant growths that exist away from the primary tumor. These “distant tumors” are the main cause of treatment failure and cancer-related deaths. Unfortunately, by the time a cancer is diagnosed, metastases are thought to already exist at multiple sites throughout the body. These clusters of malignant cells are known as “occult micro-metastases” because they are very small and hidden from view, or at least not easily detected with the standard diagnostic tools and techniques. A key problem here is that the initial treatment focus is almost exclusively on the primary tumor. Thus, with early-stage cancers, the treatment focus entails surgery and radiotherapy. This may be followed by “adjuvant chemotherapy”, toxic drugs that will hopefully eliminate any of those hidden metastases. But some cancer cells inevitably survive the assault of chemotherapy, and those cells may later multiply into a “chemoresistant” form of metastatic disease. In addition to chemotherapy, several other treatments are used to treat metastatic disease, including radiotherapy, hormonal therapy, and various molecular-targeted therapies. Alas, many of the current treatments have only limited success against the majority of metastatic cancers. So the question of the day remains: How can we best conquer metastatic cancer? Leading oncologists believe the answer lies in harnessing the anticancer immune defenses. To this end, immunotherapy has been proposed as a promising approach. Various immunotherapy strategies have been tried, such as dendritic cell-based vaccines and immune-activating antibodies. Nevertheless, immunotherapy too has had fairly limited success, as most cancers manage to evade the reach of the immune system. The ideal approach to cancer therapy would not only destroy the primary tumor, but also should “ignite” the immune system to recognize, track down, and destroy any remaining tumor cells. This would include cells close to the site of the primary tumor, as well as those located in other organs or tissues at more distant locations. To achieve this ideal, some light-based treatments are now being combined with immunotherapy. One such strategy is to combine photothermal therapy with an injection of an immune-stimulating substance called an immunoadjuvant. Photothermal therapy (PTT) is an extension of photodynamic therapy (PDT), the use of a photosensitizer that becomes concentrated in the cancerous tissue, ultimately destroying that tissue upon exposure to light. But unlike PDT, the photothermal approach does not require the presence of oxygen in order to target the cancer. 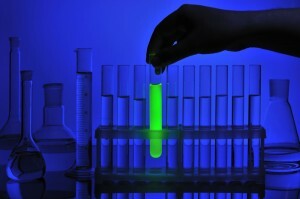 PTT is also sometimes called laser immunotherapy. To address the possibility that PTT could be integrated into a new photoimmune approach, scientists in Beijing and Shanghai (China) teamed up with three groups of scientists in the USA: (1) the University of Central Oklahoma’s Biophotonics Research Laboratory, (2) Dermatology Associates of San Antonio Texas, and (3) a company called Immunophotonics Inc., based in St. Louis, Missouri. The treatment involves two injections. The first injection consists of the photosensitizer, which is activated by laser light to produce a photothermal reaction—essentially, the light triggers the production of heat in the target tissue. As a result of this first treatment, the tumor releases proteins or antigens that can be recognized by the immune system. This is followed by a second injection of the immunoadjuvant (mentioned above), the substance that stimulates the immune system. In this case, the researchers used a semi-synthetic substance that is basically known as a chitosan, a substance derived from shrimp shells. The purpose of this second injection is to activate certain immune cells that carrie the tumor antigens, thus bolstering the anticancer immune response. The technical term for this two-injection approach is in situ autologous cancer vaccine, or inCVAX. Why would this approach have any advantages over other immunotherapy strategies? A major reason is that it addresses the problem of tumors escaping attacks by the immune system. This is thought to be due in part to the fact that not enough of the tumor antigens are actually presnted to the immune system. With the laser-induced tumor cell death and photodynamic reaction, tumor antigens are released into the circulation in abundance. At the same time, the chitosan-based immune stimulator boosts the immune system’s ability to take up and transport these antigens, thus triggering a strong immune response against cancer found throughout the body. According to this Chinese-American collaboration of scientists, the inCVAX strategy has demonstrated superb results in laboratory studies. The combination of PTT with a chitosan polymer, both injected locally (in the primary tumor area), not only destroyed the treated primary tumor but also appeared to eradicate the metastases at distant sites. Some initial clinical studies of patients diagnosed with late-stage, metastatic melanoma and breast cancers have been conducted. The preliminary data from those studies indicate that inCVAX strategy shows considerable promise, as reported in the 10 April 2015 issue of Cancer Letters. What makes this approach so unique is that inCVAX triggers a release of tumor antigens from the patient’s own tumor. This stands in sharp contrast with other current vaccine strategies, most of which concentrate on a single identified tumor-specific antigen. The main limitation of those standard vaccines is that tumor antigens will vary greatly from tumor to tumor, as well as from patient to patient. With inCVAX, the multiple antigens originating from the patient’s own tumors are likely to generate a far more specific and successful anti-cancer immune response—one that’s likely to eliminate the metastases as well as the primary tumor. If the clinical trials now underway can confirm the effectiveness of this strategy, it could very well spell a breakthrough in the way that we treat this dreaded disease—whether we’re talking about early-stage or late-stage cancers. As we discussed in the last Discoveries article, the success of cancer surgery can often be limited by the problem of cancer cells existing around the surgical site even after the tumor has been removed. This is known as a positive margin, and it is a major reason that cancer can recur in the vicinity of the surgery later on. This takes place with many cancer types, and it underscores the importance of improving the ability to define tumor margins during surgery. 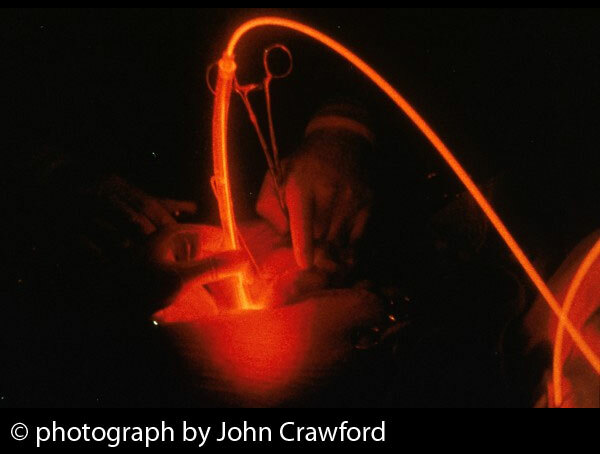 In the preceding article, we talked about using fluorescence image-guided surgery to help detect those stray cancer cells or spots of cancer in the margin more easily. This has already proved to be a highly promising way to carry out real-time image-guided surgery for brain tumors, bladder tumors, and other cancer situations. Now a new approach is being developed that combines an antibody-based PDT approach in what is known as photoimmunotherapy (PIT). The antibodies are specific for the tumor tissue, so they help guide the photosensitizer to the tumor. This approach is being used for both detection of the cancerous tissue, and the treatment of that cancer. The treatment part simply requires that the photosensitizer is activated by a sufficient dose of light to generate the highly reactive molecules of oxygen that will directly kill the surrounding cancer cells. This approach uses near-infrared light to activate the photosensitizers inside the cancer cells. By coupling the photosensitizer to monoclonal antibodies (that are specifically directed at the tumour antigens), this strategy is able to use those antibodies as vehicles for delivering the photosensitizer more effectively to the cancer cells. This is thought to have a greater potential to target the cancer cells without damaging the surrounding normal tissue, at least compared to conventional PDT. This antibody-based photodynamic approach could be highly effective as a treatment of the surgical wound area following the operation, because it could enable detection and treatment of positive margins. Whether this PIT strategy is superior to other light-based immunotherapy strategies remains to be seen. As mentioned above, antibody-based PIT is a highly cell-selective cancer therapy that involves an antibody armed with a photosensitizer. By binding to some part of the cancer cell, the antibody serves as a kind of “guided missile” that seeks out and delivers the photosensitizer to the tumor. In addition to directly destroying the tumor, the manner in which the tumor cells die during PIT can bolster the anticancer immune defenses, so that residual cancer cells or metastases can be eliminated by the body’s own immune system. Three recent studies have provided further support for the use of PIT for overcoming cancer. All three studies were coordinated by Dr. Hisataka Kobayashi and his colleagues at the U.S. National Cancer Institute’s Center for Cancer Research in Bethesda, Maryland. In the first study, the NCI researchers showed that antibodies to several different prostate-specific antigens were all effective in targeting prostate tumors. One of these antibodies—the one that bound to the prostate-specific membrane antigen—enabled the fastest treatment (shortest time interval between the antibody-photosensitizer injection and the light treatment) without affecting the therapeutic benefits of PIT. 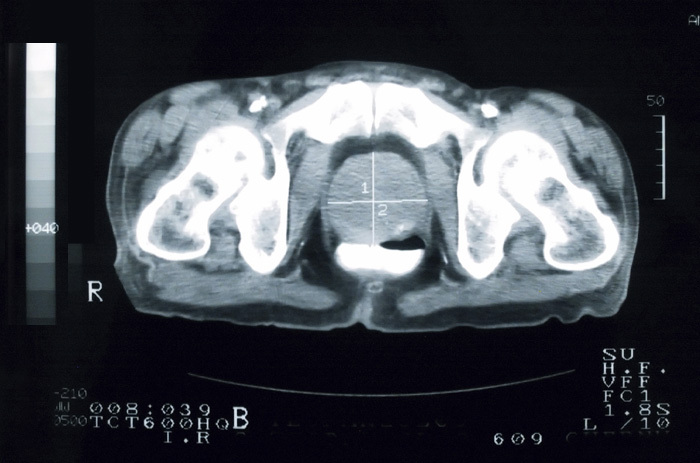 These findings were reported in the January 2015 Journal of Nuclear Medicine. The second study focused on PIT’s potential for knocking out ovarian cancer that had spread to other parts of the body. Specifically, Dr. Kobayashi’s group sought to assess the effects of PIT on ovarian cancer cells that had spread to the belly lining (peritoneum). Near-infrared PIT was able to achieve substantial shrinking of ovarian tumors, thus offering a “promising new therapy for the treatment of disseminated peritoneal tumors,” as reported in the January 2015 issue of Molecular Cancer Therapeutics. In the final study, Kobayashi’s research team focused on stomach cancer that had spread to the same area mentioned above, the peritoneum. Once again, significant shrinking of tumors was accomplished with PIT when compared to the control group. The treatment effects were shown to depend on the light dose. Furthermore, a loss of fluorescence during treatment served as a useful indicator of PIT’s destruction of tumor tissues, as reported in the 17 November 2014 issue of PLoS One. Taken together, these findings offer compelling evidence that PIT may provide a potent weapon in the battle against cancer. The approach used in these studies combines the specificity of antibodies for targeting tumors with the tumor-killing power of photosensitizers upon exposure to near infrared light. Clinical trials are now urgently needed to better determine the efficacy of the PIT strategy for people diagnosed with advanced cancers. It is hoped that the U.S. National Cancer Institute and other major research organizations will now rise to the challenge. Watanabe R, Hanaoka H, Sato K, Nagaya T, Harada T, Mitsunaga M, Kim I, Paik CH, Wu AM, Choyke PL, Kobayashi H. Photoimmunotherapy targeting prostate-specific membrane antigen: are antibody fragments as effective as antibodies? J Nucl Med. 2015 Jan;56(1):140-4. Sato K, Hanaoka H, Watanabe R, Nakajima T, Choyke PL, Kobayashi H. Near infrared photoimmunotherapy in the treatment of disseminated peritoneal ovarian cancer. Mol Cancer Ther. 2015 Jan;14(1):141-50. Sato K, Choyke PL, Kobayashi H. Photoimmunotherapy of gastric cancer peritoneal carcinomatosis in a mouse model. PLoS One. 2014 Nov 17;9(11):e113276. eCollection 2014. 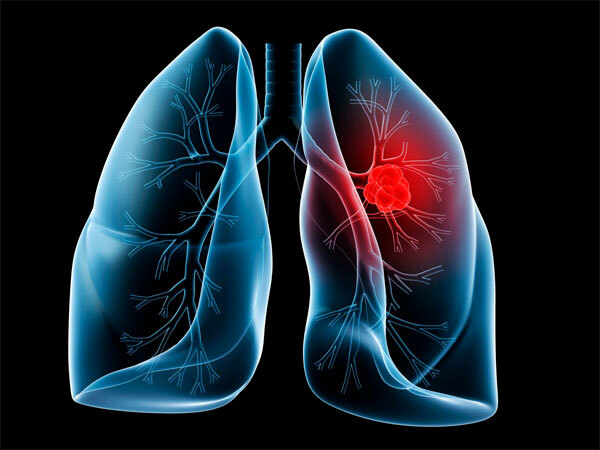 Lung Cancer: Can Photodynamic Therapy Bolster Survival?